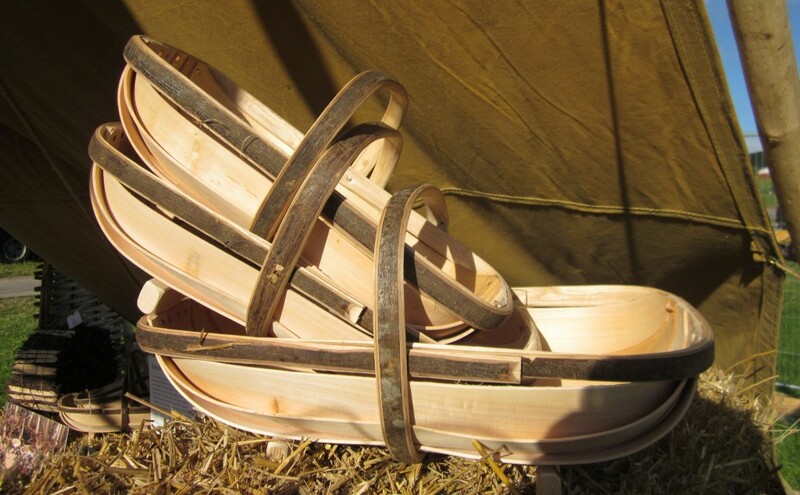 Trugs come from the Anglo Saxon word ‘Trog’ meaning boat shaped. Traditionally made with cleft willow stripes nailed onto a chestnut rim and handle and historically associated within the Sussex area. They are strong and durable and have multiple aesthetic and functional uses in the home and garden. Trugs are made in different styles and can be made to a specific size within a size range from Number 1 – 8.